Listen When: You feel overwhelmed by all the online stories of success or before you buy into a course just because you think it is your ticket to the 6 figure lifestyle. Listen When: The green-eyed monster is rearing it’s ugly head big time. This podcast puts a spin on jealousy and gives actionable steps to turn that feeling from a negative into a driver. I particularly loved #2 on that list. Listen When: You want everything that the other person has and you can’t stand it. In true Emily and Kathleen style, they share how they deal with these feelings. Two points stand out from this episode is: If you can’t beat them, join them. Or just delete them. Listen When: You are constantly comparing what you are doing to what others are doing. A quick 4 step process to stop comparison and run your business your way! While not directly related to jealousy/comparison, I think it can help. Focus in, focus on what you are offering, and a great way to do that is to get visible and put your business out there. You make the noise! If you need a little help staying on track and putting yourself out there, check out the G.S.D Intensive (for support) or The 90-Day Treatment (for a plan + support). Listen at a higher speed like 1 or 1.5 speed. Some speakers are faster than others, so you may have to play with it. On the iphone do this by playing the podcast, and then expanding it up, so just tap on the play band at the bottom. Have a few podcasts saved and downloaded so that you can listen on a walk or anywhere else that might not be wifi accessible. Have a notebook handy, or pause and take a voice memo, or type a note on your phone, for those really good tidbits of information. Most of the time any resources mentioned will be available on the podcast webpage. 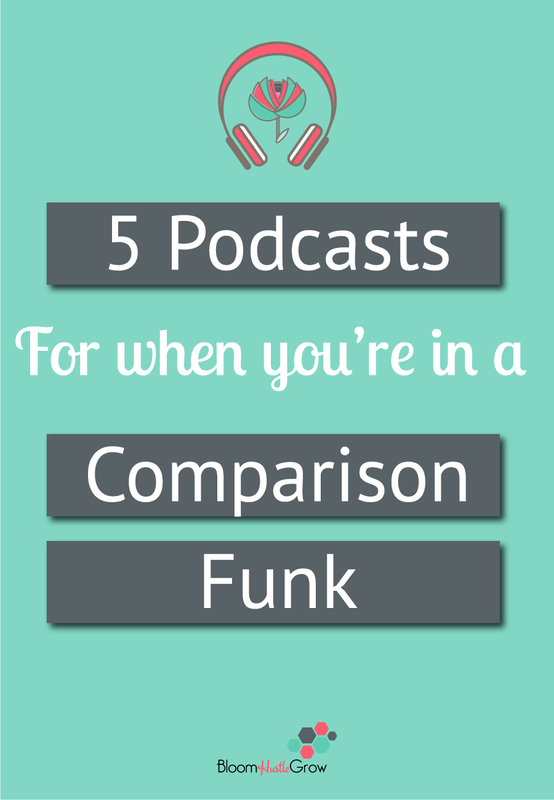 Get you out of that comparison funk and back to business. Need an extra pick me up? How do you deal with the green-eyed monster in your business?